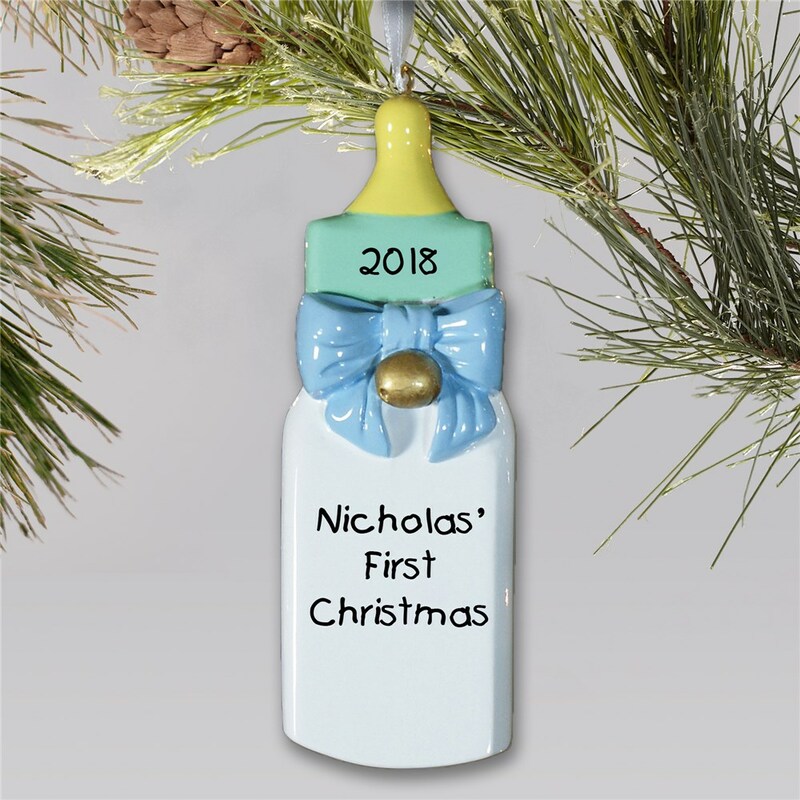 This adorable baby boy bottle ornament is an ideal first Christmas keepsake and is a treasured gift for any new parents in your life. These Baby's First Christmas Ornaments are wrapped with a cute blue bow and a shiny gold bell that is perfect for commemorating your baby's first Christmas. Our baby boy ornament is individually laser engraved and measures 4-1/2" x 1-1/2". Each one includes a ribbon, loop and personalization of any name and birth year. Order today. This was a repeat purchase for the second child born because I really like the gift for the first. Interested in more personalized Christmas ornaments for baby's first holiday? GiftsForYouNow has you covered! And check out our other great customized Christmas ornament designs.